Northpoint Christian School is a member of the Shelby County Swim League and the Tennessee Interscholastic Swim Coaches Association (TISCA). Our team attends swim meets each year beginning in October. The season culminates in February with a County Championship followed by the Tennessee State Championship. The goal of our team is to provide every member an opportunity to improve swimming skills and achieve success at his or her level of ability. 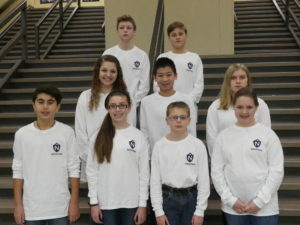 Northpoint Christian School high school and middle school students who are interested in joining our team may contact Trish Pihringer for the Shelby County Swim League.